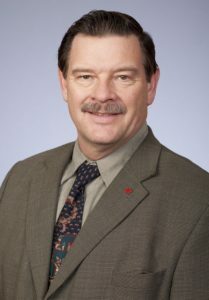 Larry Davis serves on the Ontario Federation of Agriculture (OFA) Board of Directors as the Zone 3 Director representing the diverse agricultural counties of Brant, Haldimand and Norfolk. He has served as an OFA Director for more than 25 years. He operates a dairy farm, custom raising dairy heifers and bulls, with his wife Sally and family near Burford in Brant County. They grow 1,000 acres of corn, soybeans, wheat and hay. Davis has served Brant County for many years in a range of organizations, including as Director and Past President of the Brant County Federation of Agriculture. He was founding Chairman of the Brant Resource Stewardship Network, founding Director of Brant Agribusiness Opportunities, founding President of the Brant County Corn Producers’ Association and founding Director of both Integrated Grain Processors Co-operative and Ontario Hemp Alliance. He is also a Director of the Brant County Soil and Crop Improvement Association.